In the world of citrus I feel like lemons and oranges are often the stars. You can pair lemons with blueberries, with strawberries, or use them to stand on their own. They are delicious in iced tea and other beverages or to put on top of fish or chicken. There are so many different uses for them. Then there are oranges. Oranges are great for using the juice to make a variety of marinades, in cocktails and beverages, or in breakfast recipes. The other great thing about an orange is that you can just peel it and eat it. I think the lime is underrated. You don’t often see drinks (besides margaritas or mojitos) featuring limes. There aren’t a whole lot of baked goods using limes either except for the classic key lime pie. I have to tell you that I love lime in my soda, I love lime in my water, and I think it makes a delicious addition to baked goods. 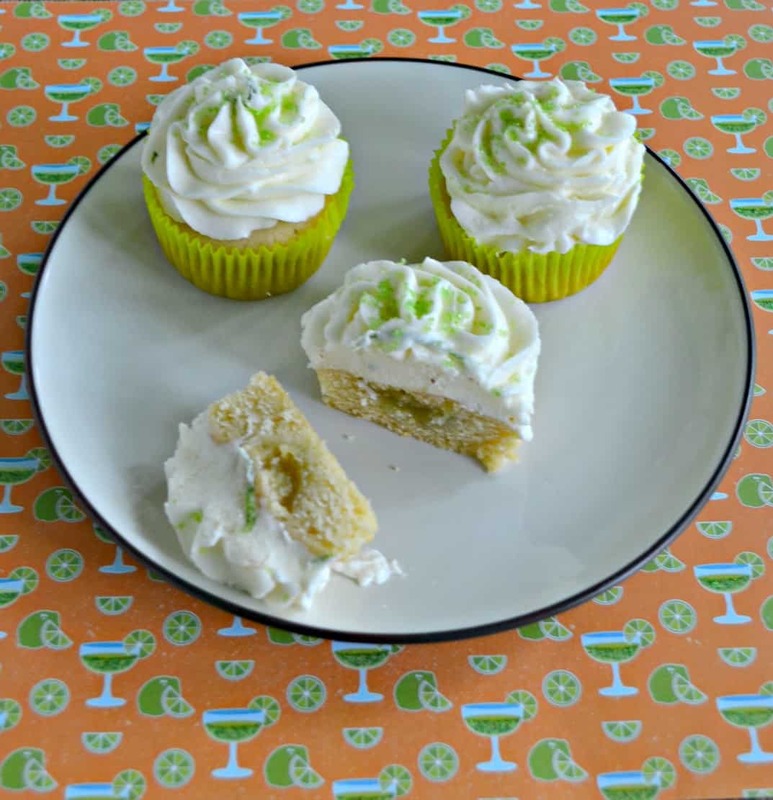 That’s why I made these amazing Lime Cupcakes. 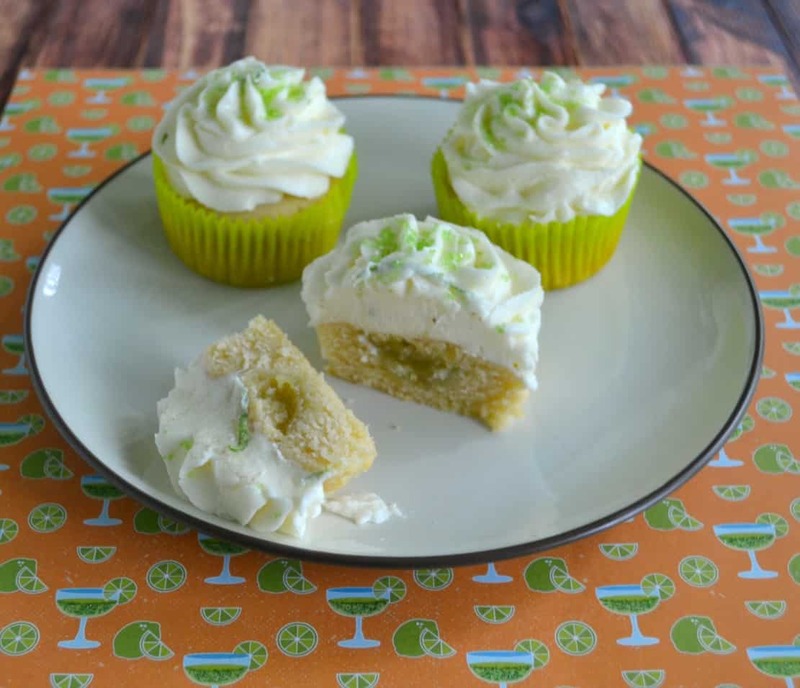 The cupcakes are a yellow cake with lime juice and like zest in them. They are filled with store bought lime curd. I would have made my own but I just didn’t have time and I happened to have a jar of lime curd in the cupboard. 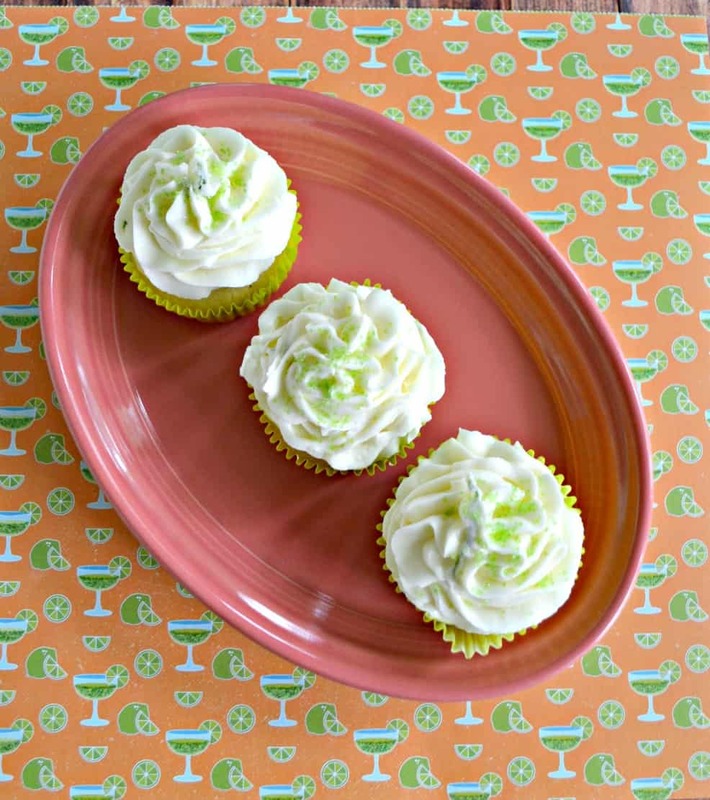 Then it’s topped off with a lightly lime flavored buttercream. 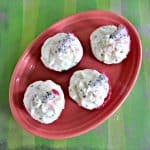 The resulting cupcakes are bright, sweet, and tart which is a delicious combination. I sprinkled some green sprinkles on top to give it a little bit of color since you eat with your eyes first. 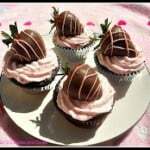 These are a delicious cupcake perfect for a day at the beach or a pool party! 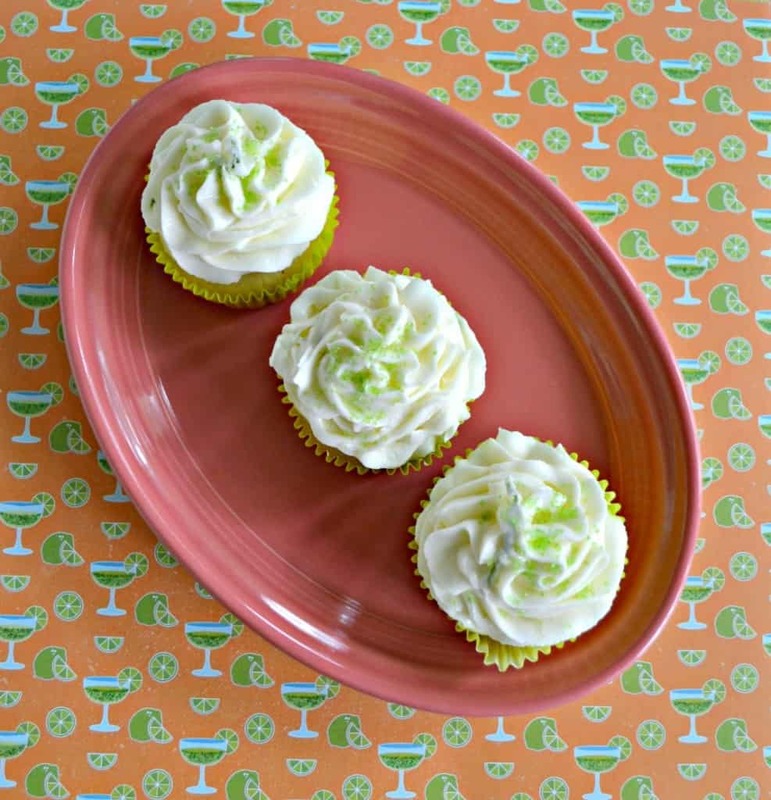 Yellow cake flavored with lime juice and zest then filled with tart lime curd and covered in lime buttercream frosting. Preheat the oven to 350 degrees. 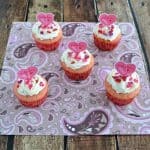 Line 2 muffin tins with cupcake lines. In a large bowl cream together the butter and sugar. Mix in the eggs and vanilla. Add the lime juice, lime zest, and milk to the bowl with the butter mixture and mix well to combine. Add in the remaining flour mixture and mix until smooth. Pour the batter into the prepared muffin tins filling ⅔ of the way full. 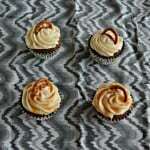 Once the cupcakes are cooled cut a piece out of the top and down into the center and remove. Set next to the cupcake. Fill the hole with 1 teaspoon lime curd then replace the cupcake top. Set aside. To make the buttercream place the butter in a large bowl and mix on medium speed with a mixer. Add in half the powdered sugar, the vanilla, lime juice, milk, and lime zest and beat for 1 minute. Add remaining powdered sugar and beat until desired consistency is reached. Pour frosting into a piping bag and pipe onto the cupcakes. Sprinkle with green sprinkles if desired. These sound delicious! I can’t wait to try them. Thank you! I love how fresh and bright they are.